This past weekend, I was once again honored to be invited onto the Polycast podcast about the Civilization games. This was my third time on the show since the release of Civilization VI (back in November). Those two episodes were focused more about initial impressions of the game. This time, we got to have some more substantive discussions. This archived episode is edited down to 1 hour (from a 2-hour recording), so not all the following topics may be included in this particular episode. The remaining topics may be included in later episodes, so be sure to check back at Polycast.net if you want to hear it all! The bulk of our discussions were focused around a handful of Civfanatics forum topics regarding criticisms and suggestions for enhancing the district mechanics. The first thread was about users' ideas for possible districts in any inevitable expansion for the game. This gave me an opportunity to link back to a previous blog that I had written about my own ideas for new districts (and other ways to make better use of the game's map). Ideas from other users ranged from new districts focused around diplomacy and envoy-generation, to railroad hub districts, a fortress / castle district, espionage district, and (of course) a canal district. Other users pitched the idea of stacking multiple districts into a single tile. This idea seemed unfavorable to the Polycast hosts (as well as myself), as it generally undercuts the fact that "unstacking" cities was a core design philosophy of Civ VI. However, it is worth pointing out that "unstacking" units was the core design philosophy of Civ V, but Civ VI added limited stacking back into the series. So back-pedaling on a philosophy of unstacking is not without precedent. Russia is pretty much the only A.I. that places its districts well, due to its free extra border expansion. The past few weekends, I've been lucky enough to be invited to guest host on a pair of episodes of PolyCast, the Civilization podcast series. Both episodes were dedicated towards first impressions and thoughts about the release of Civilization VI (which I've already reviewed). The first episode (episode 268) was recorded the Saturday following Civ VI's release. In this episode, a bunch of people in the Civ community were invited to briefly discuss their first impressions of the game, including things we like, things we'd like to see improved, and things that are just plain bad. About a dozen guests (including myself) offered our first impressions of the game, and a lot of good insight was given. I invite all my readers to listen to the full episode. This episode of PolyCast was recorded on October 29th, and can be streamed in its entirety at civcomm.civfanatics.com/polycast. The following episode (269) was the more involved one. I was a guest host (along with Alpha Shard) for the duration of that episode. The biggest topic of discussion in this episode was the news that eSports team, Team Liquid, is attempting to recruit competitive Civ players to join their team. We discussed the possibility of Civ entering the eSports arena, as well as our reservations about it. A big point of concern was whether or not the game is "balanced" enough for such competitive play. We all agreed that any league that would play Civ competitively would have to agree on certain settings (and probably on specific maps) that would be exclusively used for competitive games. 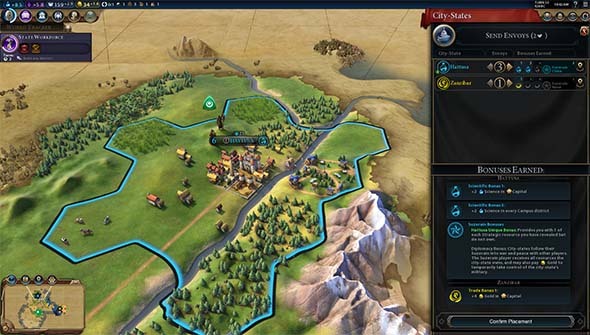 The variation and randomness of maps, resource distribution, civilization uniques, barbarians, goody huts, and so forth would probably not be welcome by many competitive gamers, as there are admittedly many games of Civ in which a player lives or dies by the map conditions - which are wholly outside of the player's control. In single player, you have the luxury of being able to simply restart the game on a different map. But in multiplayer (and especially in formal, competitive multiplayer), you can't simply mulligan the game because you got a bad roll for where you start and what's present around you. 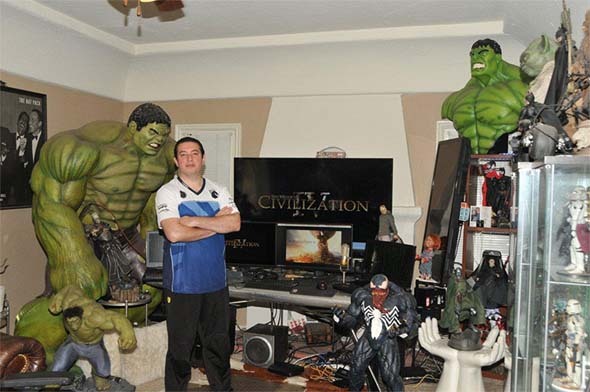 TeamLiquid's Civ leader is recruiting members. I went on a bit of a tangential rant about how I feel online gaming has hurt another of my favorite game franchises, Madden NFL. I was trying to be as brief as possible, since I didn't want to talk too much about Madden in a podcast about Civilization, so I'm not sure if I made myself entirely clear, or if I really explained the connection between Madden and Civ that I was trying to make. I had another opportunity over the weekend of June 11th to participate as a guest host on the Civilization podcast PolyCast for their 257th episode. 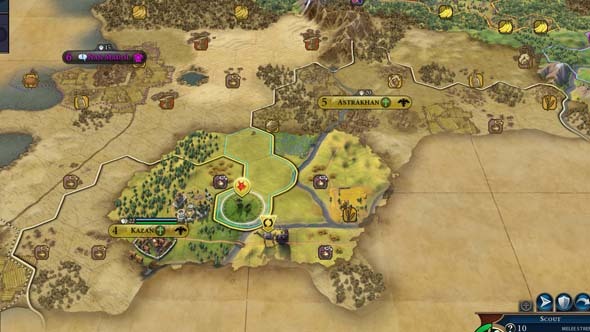 I joined regular hosts DanQ, TheMeInTeam, MadDjinn, and Makahlua as we discussed the latest news regarding Civilization - specifically, some new information regarding City States in Civilization VI. We discussed how the new envoy system works, what exactly Firaxis might mean by city states being "streamlined", took a jab at Beyond Earth by joking that stations are "streamlined" city states, and then teased Dan with the apparent lack of a "bully" option on the city state interface that is shown in the screenshots. City State "diplomacy" is now handled by sending envoys rather than by buying their alliances with gold. The new city state system relies on sending diplomatic envoys to a city state. Once certain thresholds of envoys have been reached, the city state grants certain bonuses based on its type. The civ with the most envoys gets the privilege of being the suzerain of the city state (seems to be just a renaming of "ally" or "master"), which confers a unique bonus to the civ from that city state. Having unique bonuses from city states is a cool new feature that adds more variety and personality, and helps inform the player of the history of that city states in the same way that the civilizations' national powers were informed by some aspect of the respective civ's culture and history. Very nice addition. Over the weekend of March 7, I was once again invited to participate in the Civilization podcast "PolyCast". It's always enjoyable to participate in this show. DanQ and the others always do an excellent job (even though Dan wasn't in this episode). I particularly enjoyed this one because I felt that I had more to contribute than on some of the other episodes that I've been invited to. Part of that was because I actually reviewed the topics in advance and prepared for the episode. But it was also advantageous that one of the topics discussed was my own blog post about Civ VI ability ideas. I don't think that discussion made it into the edited episode, but it will perhaps make it into a clip show later in the year. Even so, I felt like I had valuable commentary on the other topics, and there were some good discussions. The episode can be streamed in its entirety at thePolyCast.net. The first and most significant topic of conversation was about a video posted by Errant Signal that takes a critical look at the meta-themes of Civilization and what they say about our perception of what it is to be "civilized". His primary criticism is that the game unnecessarily puts civilizations in competition with one another, rather than fostering a spirit of cooperation; and that the various victory conditions in the game are very "American", "Western-centric" ideals. So our PolyCast panel discussed these criticisms and different game mechanics that contribute to them, as well as ideas for ways to alleviate them (particularly on the topic of victory conditions). Another significant topic of conversation was whether or not we really want the different civilizations to have unique units and powers in the game. The question was posed on the Civfanatics forums by user Naokaukodem, who seems to be arguing in favor of removing the unique units and making them accessible to any civilization that techs to them. I think it is safe to say that the panelists on PolyCast were not in favor of such a change, and some good arguments (both mechanically and thematically) are made in favor of keeping the uniques as they are. There were also some other discussions of various Beyond Earth topics and some other discussion. I'm not sure if all of it made it into the final edited episode, as we went well over the allotted time. So some of the discussion might have to be rolled into one of PolyCast's future clip shows. After listening to the full episode, all the topics discussed in the live podcast did make it into the edited version available on the site. Thanks, as always, to the PolyCast hosts for the invitation. I hope to participate again soon!